I have many memories from childhood that I’m not entirely certain ever happened. One is of my mother making her cornbread in individual sizes, in the shape of small ears of corn. This may seem an odd thing to remember, but I adore my mother’s cornbread. We make it every Christmas for cornbread stuffing and I spend the rest of the year craving it and wondering why I don’t make it on other occasions. This past weekend I once again thought of the small, individual-sized cornbreads while I was staring at a beautiful madeleine pan, trying to come up with a reason to bring it home with me. I decided enough with this already - it doesn’t matter whether the memory is real or not. Small, delicately shaped cornbread sounds great to me, so why not give it a go. When making this cornbread for stuffing I go very light on the sugar, but I’ve added it back in for this recipe. I served these warm from the oven with a little lemon curd and winter fruit tossed with balsamic and freshly cracked black pepper. I think they would be equally as good in a savory application. Mix first six ingredients together. In a separate bowl, whisk the eggs with the buttermilk and stir in the melted butter. Combine the wet and dry ingredients. You can make a large loaf by pouring the batter into a pre-heated cast iron skillet and baking for 20 – 25 minutes. If you prefer to make madeleines, butter and flour a madeleine pan. Fill each mold about 3/4 of the way and bake for 10 minutes. 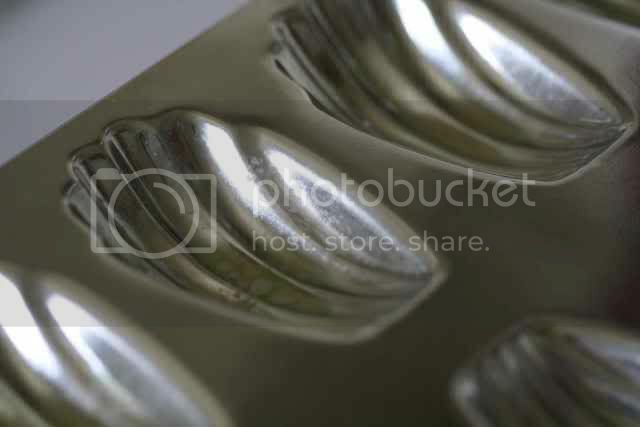 I really want to purchase one of these molds- Madeleines are such beautiful and simple cookies. Love the variation you've adapted! Isn't it funny the things you remember from when you were little? these look incredibly appetizing!! I have a question because in belgium we do not eat cornbread. How do you eat it? As breakfast or lunch & with what do you serve it? Thanks! What a great idea! 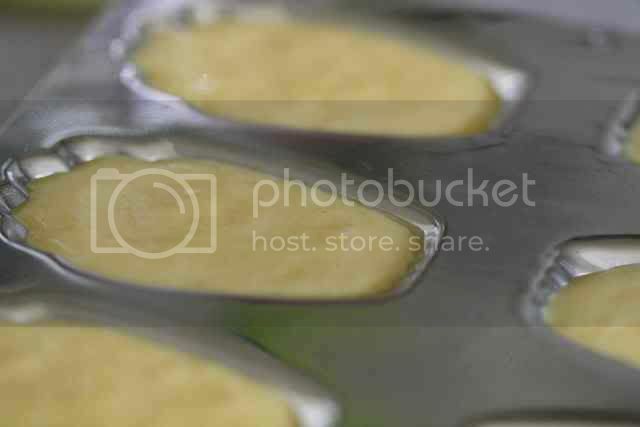 I have a mini madeleine pan that I've only used once, I need to pull it out and give this a try. I'm a sweet cornbread fan all the way. These look perfect for a late afternoon snack or to serve with tea/coffee after dinner. Yum, I love that you served it with some lemon curd, what a great combo. And the madeleines came out beautifully. Looks great! I love madeleines and cornmeal - what a great combo! Oh, these look so delicious, and it's very easy to make gluten and lactose free too! Thanks for sharing this recipe, I can't wait to try them. I love using my madeline molds which reminds me I need to make more soon! Great idea using them for cornbread. How cute! Now I need a madeleine pan! Need. I love my madeline pan, it makes the prettiest cookies! I haven't tried cornbread, fabulous idea! wow. that combination — cornbread madeilenes with lemon curd, fruit, balsamic and pepper — sounds so interesting. great idea. Yum, I must have been picking up the vibes because I just bought cornmeal. I love madeleines and cornbread so there you go... I have to make these. Brilliant! Making the cornbread in a Madeleine pan. Stroke of genius! And they look like they came out prefect. My mom also makes a tasty cornbread stuffing :). 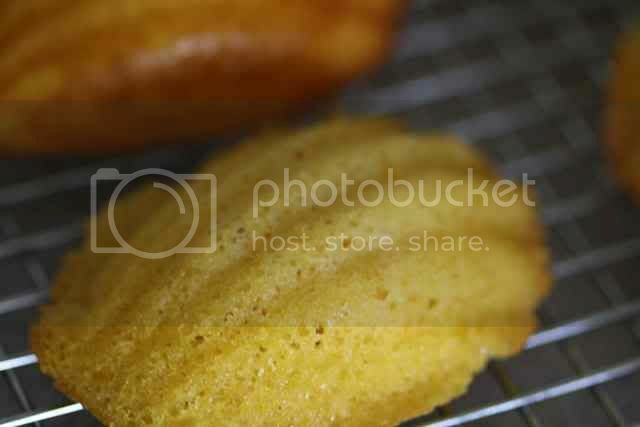 Cornbread madeleines would be a great treat with a cup of tea :). Can't seem to find a way to contact you on your website. Please email me re: your win in the 2008 Well Fed Food Blog Awards. Thanks. I have a lot of memories like that too... not sure if I actually remember the truth or saw pictures or what. Oh, we had individual corn-shaped cornbread as a kid, too. Mother called it "corn pone."